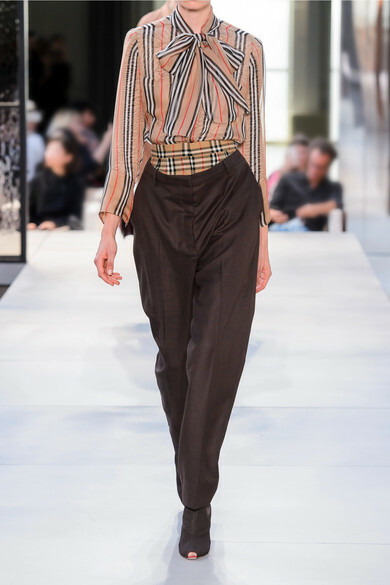 For Burberry's Spring '19 collection, Riccardo Tisci reminded London Fashion Week attendees about the power of asserting confidence through tailoring. 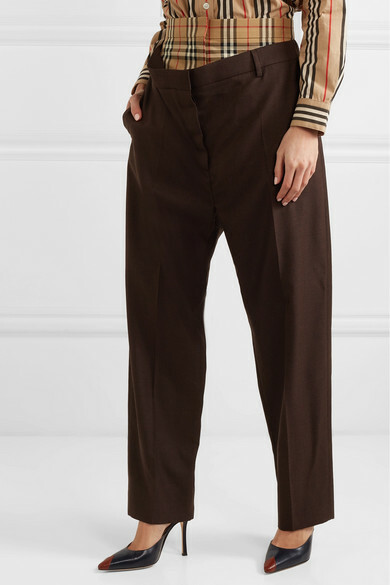 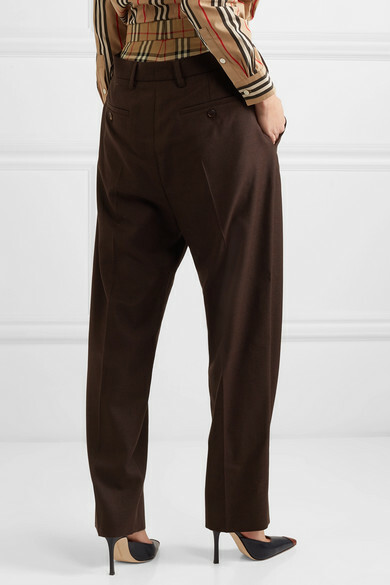 Worn on the runway, these straight-leg pants have been made in Italy from deep brown wool paneled with 'Vintage Check' cotton at the waist to balance trend with tradition. 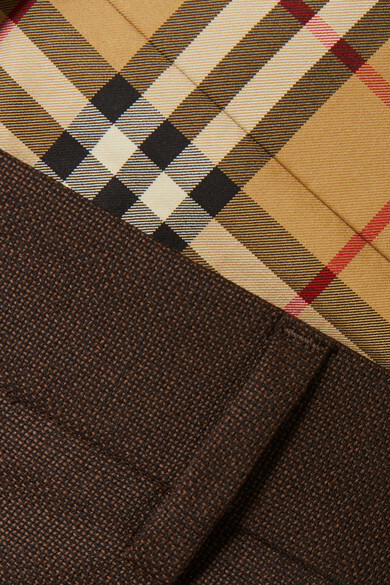 The brand's team told us that the new Chief Creative Officer likes them with tonal pumps. 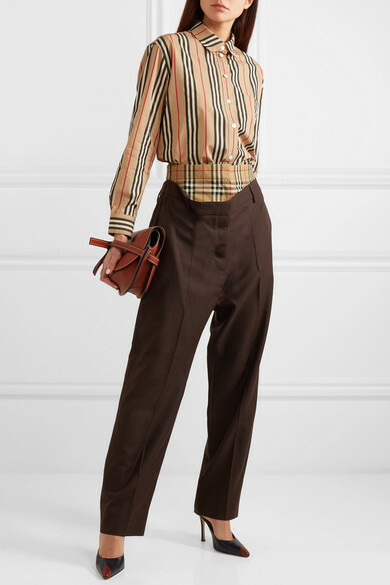 Shown here with: Burberry Shirt, Loewe Shoulder bag, Alessandra Rich Mules.